The 50s Alika Circle Dress in Black: the luxurious line! Step out in retro style in this fantastic vintage style dress! Alika means 'beautiful one'... and this dress is definitely beautiful! Planning a party? Alika is your girl! She features a fitted fishnet styled top and a fixed bow at the waist. 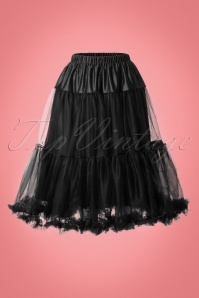 She runs from the waist down into a flowy swing skirt which makes you dance of joy all day long. Made from a sturdy yet supple, black fabric with a light stretch for a lovely fit. Fifties glamour at its best! 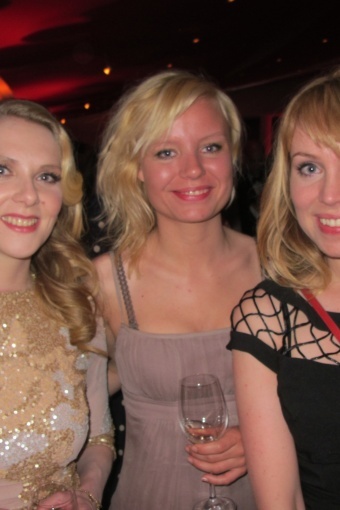 Dutch singer Janne Schra, Belgian singer Barbara Dex and German presenter Ruth Moschner wore our dress!